You may think you’re listening but there is a major engaged segment of the Internet creating content and you can’t hear them. While reading a book titled Women, Men and News: Divided and Disconnected in the News Media Landscape by Paula Poindexter, Sharon Meraz, and Amy Schmitz Weiss, professors of journalism and communication, I was asked a question. I had never thought about it before. Do millennial girls show the same level of engagement with technology as millennial boys? Millennial boys will tell you a different story. Boys exhibit more confident with their lesser engagement. They are “more inclined than girls to say they know more about technology than their parents” (Poindexter, Meraz, Schmitz Weiss, 2008, p.123). They are also more likely to take credit for their abilities by saying they are self-taught while girls are more likely to say they learned from their parents (Lenhart & Rainie, 2001). Remember that self-assured bad date you had? (We have all had that date). Well, academic research affirms it, that bad date was conditioned and socialized to behave that way and what’s worse—he’s not alone. Perhaps with the commercially relevant community of “Mommy bloggers” this next statistic is out-of-date and I would like feedback to the contrary of this but this book introduces a glass ceiling that I was not aware existed. Though men and women are producing content at comparable rates of production, Meraz on page 146 introduces us to “The Blogosphere’s Glass Ceiling”. Great. One more glass ceiling impeding female progress. Now I need to worry about the blogosphere. I know what you may be thinking because I thought it too. Who cares about the blogosphere? To quote Ryan Howard from The Office, no one’s blogging anymore. They’re tweeting. The Office ended a while ago so tweeting too is likely passé now as well. Yet I still think this is relevant and that’s not just because I’m blogging as we speak. (A blog likely to never be read by these standards…). The fact that women are producing and consuming blogs at a rate comparable to men but not achieving the same popularity speaks to a systemic perception that plagues female success. Women rarely achieve greater than 25% of the Top 40 spots of blog ratings (Poindexter, Meraz, Schmitz Weiss, 2008, p.146). The first thought that came to mind was Heidi and Howard. 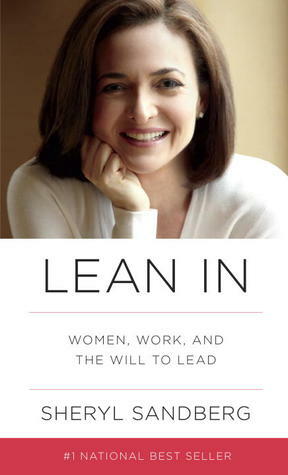 If you have read Sheryl Sandberg’s book Lean In, you know exactly what I’m talking about. If you haven’t, (1) why haven’t you? (2) view this immediately. Sandberg reviews an example of how the same story (save the gender-specific name) brought about two very different reactions. If Howard does great things, he’s great. If Heidi does great things, ugh, Heidi would… Cue eye roll. Female blogs are not being read, which begs the question: why bother? Female millennials may be engaged but to what end? The perception of females online, in business, basically anywhere makes their engagement and success moot. The systemic problems with perception of women in society overshadow topical analysis like female millennial engagement with technology or the blogosphere. The gender discourse in society needs to change before… Oh, why would I bother finishing this sentence/blog/anything? Female blogs don’t get the traction of male blogs. In fact, if you are still reading and have made it to the end of this female-authored blog, kudos to you. You are a progressive, gender-neutral reader in a skewed and biased society. Or you are very bored. Either way, you have hereby stepped into the minority. Poindexter, P., Meraz, S., & Schmitz Weiss, A. (2008). 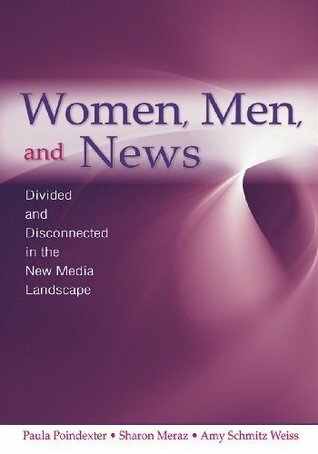 Women, men, and news: Divided and disconnected in the news media landscape. New York: Routledge. Posted in Audience Engagement, Bias, Communication, Content, Female, Feminism, Feminist, Gender, Journalism, Mass Media, Media, Millennial, News, Perception, Social Media, Technology, Women, Women in BusinessTagged Amy Schmitz Weiss, Audience Engagement, B.J. Novak, Bias, communication, Content, Content Generation, Creating Content, Engagement, Female, Female bloggers, Female Progress, Feminism, Feminist, Gender discourse, Glass Ceiling, Goodreads, Heidi and Howard, journalism, Lean In, Mass Media, media, Media Landscape, Meraz, millennial, Millennial Women, Millennials, Mommy bloggers, News, News Media, Paula Poindexter, Perception, Perception of Women, Poindexter, Reddit, Ryan Howard, Sharon Meraz, Sheryl Sandberg, Technology, The Office, WIB, Women, Women in businessBookmark the permalink. I made it to the end of this blog, and I’m so glad I did.